Home Behavior/Training How and Why Why Does Your Cat Watch TV? Have you ever had a cat that seems to like watching TV? If not, you might have seen videos online of cats that sit and stare at television programming, moving their heads around to follow the action. It's pretty cute. Why Do Some Cats Watch TV? It's possible that cats that seem to become engrossed in television programs may have a higher prey drive than other cats. Because of that, their attention might be more easily caught by movements and changing colors on the TV, which can make them think there might be a rodent or bird in the room. Your cat might also watch TV because you do. After all, he loves you and wants to be around you, so he's likely to try and engage in the same activities you like. Is Watching TV Bad for Cats? There's no problem with cats watching TV unless they become so excited that they pounce on it. Then they could damage the screen. And if the TV is mounted high or sits on a shelf, the kitty could be injured by falling or pulling the television onto himself. So if your cat looks truly engrossed and you think he might pounce, don't let him watch TV unsupervised. Additionally, if your cat watches TV a lot, he might need more enrichment. He may benefit from a high perch near a window so he can watch live action outside. Also, he may need more interactive playtime than other cats. Get wand toys and rodent toys and make sure you're playing with him interactively at least a couple of times a day, for ten minutes each time. For shelter cats or those that spend a lot of time home alone, TV can actually be good enrichment if the kitty does seem to pay attention to it. 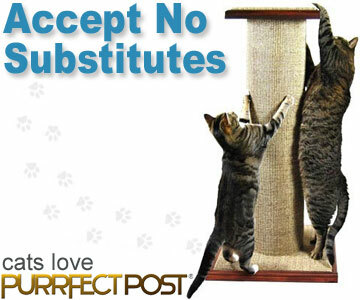 Shows featuring birds, fish, or rodents can keep a lonely cat mentally sharp and enriched. But only, of course, if he doesn't pounce on the TV.